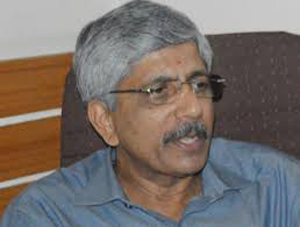 Senior politician Jayaprakash Hegde tilting towards BJP ? Udupi, Nov 4,2016 : Is senior politician and former Udupi-Chikkamagaluru MP K Jayaprakash Hegde planning to join the BJP ? If sources are to be believed some BJP leaders are in touch with Hegde who was first associated with the Janata Dal and later joined the Congress in 2008. He had won the by-elections from Udupi-Chikkamagaluru in 2012. However in the 2014 elections he lost to Shobha Karandlaje of the BJP. Hegde had contested the MLC elections last year as an independent after the Congress denied him a ticket . Subsequently he was expelled from the party. Reacting to the rumours of his plans to join the BJP, Jayaprakash Hegde admitted that he had talks with some BJP leaders once. He also stated that he would take a decision after consulting his supporters and well-wishers. Trust on politics has declined what is the use of you people changing the party or not ,Does it really matters ? BJP may be happy with the entry of one . First of all the common public is not interested in Politics as they know it is like Bhul Bhulaiyya . We never fal in the trap .